Vessel transfer is the act of moving workers to and from the ships, barges, and boats in which they work and to a port, dock, another vessel, or other area. Although it may not seem likely, crewmembers are often injured in falls, drops, and impacts during vessel transfers. These personal basket transfers can be very dangerous given that baskets are not often designed to transfer personnel. The “baskets” often refer to a ring workers are forced to stand on, which is attached to a net. The ring and net are then hoisted by a hook and crane on the vessel, lifted off a dock or the vessel itself, and swung until the basket makes contact with the surface of the transfer destination. Boat transfer – When a smaller boat is used to pass workers from one destination to the other. 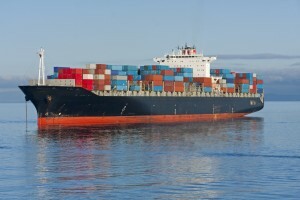 Injuries can happen when workers embark, disembark, or during the voyage. Walkway transfer – When a walkway that allows workers or passengers to leave or enter a vessel on foot is not built properly, does not have railways, has slip hazards, or other defect. Ladders – Some vessel transfer injuries happen when workers are asked to climb or descend a ladder and onto a vessel or port. Injuries can happen if the ladder is not properly maintained, cannot support the workers, or does not provide adequate foot or hand holds. Who is Responsible for Vessel Transfer? Under maritime law, it is the responsibility of the employer to ensure the entire area in which the workers go to and from a vessel is safe. Additional responsible parties include crane operators, vessel manufacturers, structure manufacturers, port and dock owners, or anywhere vessel transfers happen. If you or someone you know has been hurt during a vessel transfer, you may have a limited time to act. Contact a Houston maritime lawyer at Richard J. Plezia & Associates immediately so we can help you collect evidence of an employer’s neglect, as well as discuss your rights to file a complaint against a vessel, port, or other party.